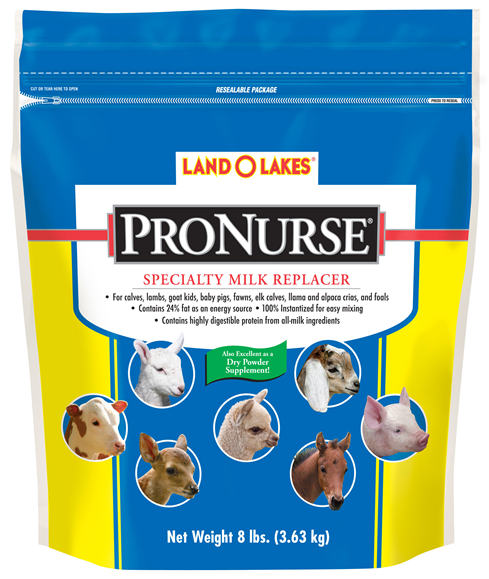 LAND O LAKES ProNurse Multi-Specie premium formula milk replacer. Our multi-specie milk replacer is ideal for 10 species of animals including: calves, foals, goat kids & lambs, piglets, llama & alpaca crias, fawns and elk calves. 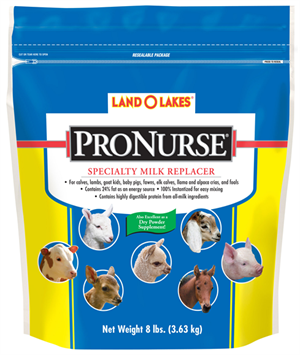 Meets nutritional requirements of orphan animals when properly mixed and fed. Provides optimum digestibility to meet energy requirements. Provides foundation nutrients for strong animal development. Provides quick and easy mixing. From the company that knows milk replacer and young animal nutrition. Development and production of leading-edge animal milk replacers since 1951.